Before the strict regulations of the ’60s, cigarette companies took an anything-goes approach to advertising, creating ads with sexist, racist, and wildly misleading content that would be unthinkable to see in print these days. 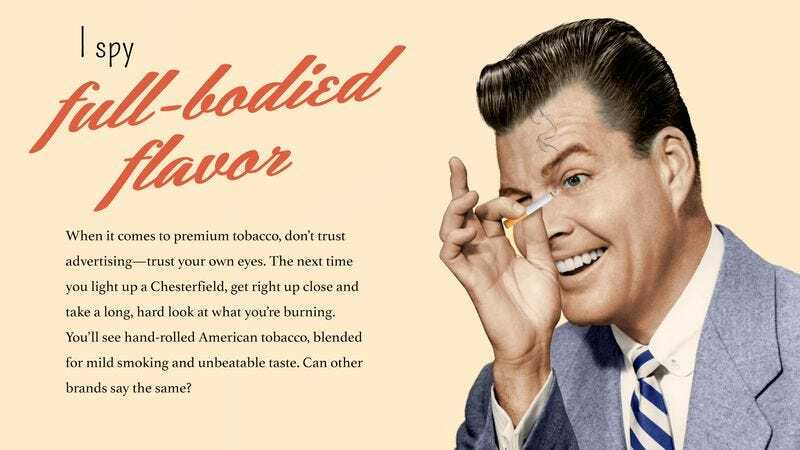 Take a look back at the Wild West of tobacco ads, and see how far we’ve come. Can you imagine the outrage if this 1938 ad ran today? And this 1955 ad would never get past an editor now. This one’s from 1926 and…woof. Looks like 1952 has not aged well.